We’re pleased to announce that a digital collection from Special Collections is now discoverable in Bobcat. Items from the David Wojnarowicz Papers from Fales Library can now be discovered and accessed right from the Library’s main catalog. The magic behind this feat is Ichabod, a joint project from DLTS and KARMS, which ingests metadata from heterogeneous sources, normalizes it, and sends it to Primo (the software that powers Bobcat). 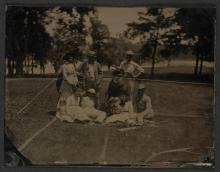 Now that we’ve made one collection available in Bobcat, we can work on others: Camp Kinderland, Gay Cable Network, the Washington Square Photo Collection, photography from the Arab world, and many others. 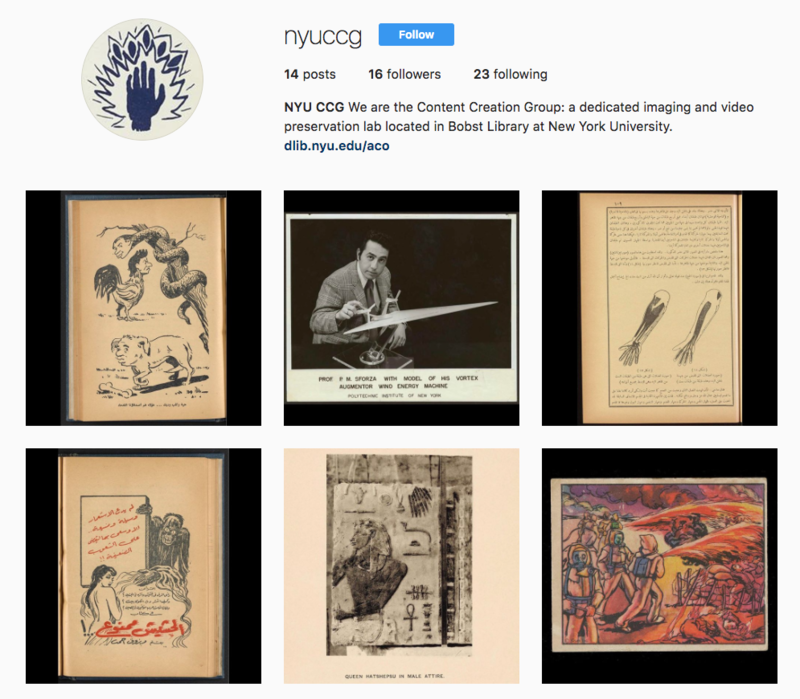 Making these digital collections available through our main discovery interface is the goal of Strategic Initiative 4.3, and we’re well on the way to fulfilling that promise. Special thanks to the Ichabod team (Carol Kassel, Corey Harper, Daniel Lovins, David Arjanik, Ekaterina Pechekhonova, Esha Datta, Joseph Pawletko, Mike Haag, Reed Shadgett, and Stephen Balogh) as well as ACM and Special Collections for helping us reach this milestone. 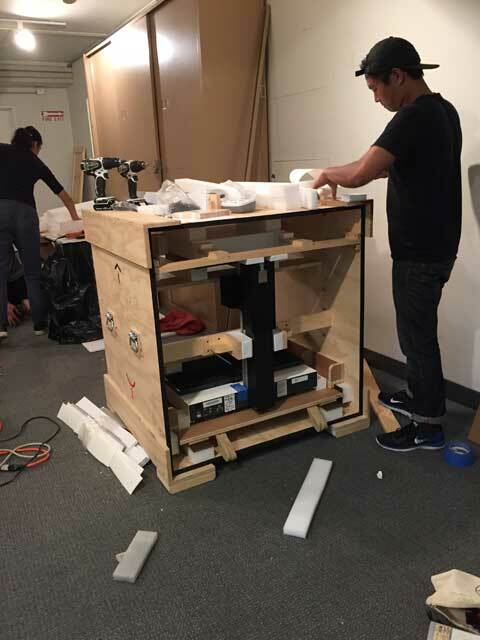 Earlier this year, we completed work on a massive renovation for our book viewer. The new viewer for books and other media uses scalable software and protocols, such as MongoDB and JSON, to deliver book information and book images efficiently. 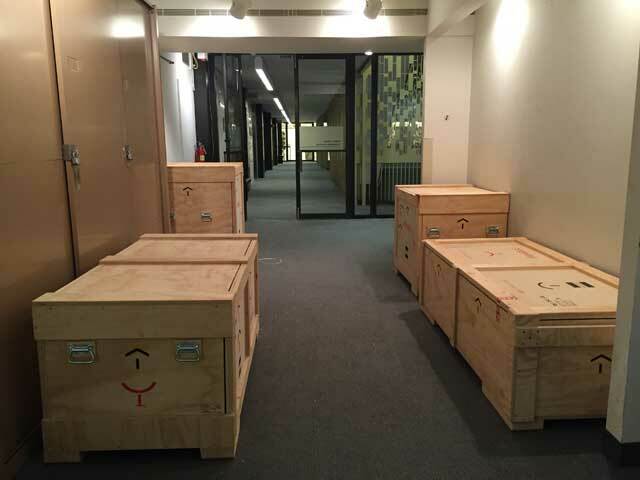 The new infrastructure also allows us to publish books more quickly, with less human intervention. 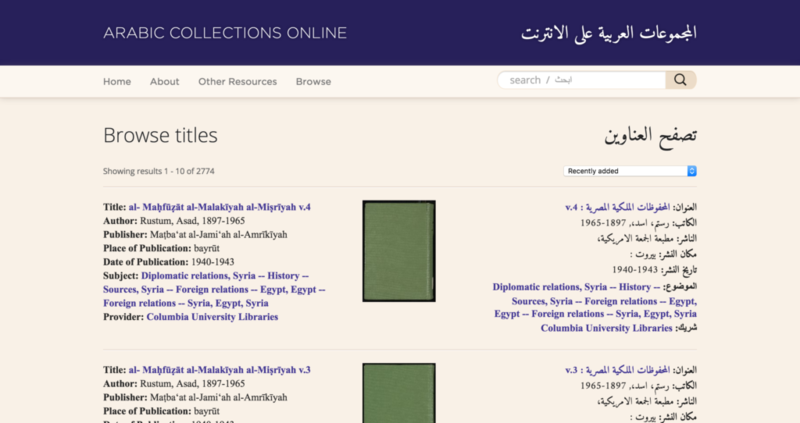 We reduced our time-to-publish for Arabic Collections Online from 2 months for 200 books to about one week. This dramatic improvement has allowed us to scale our publication schedule from 200 books every other month to 400 books every month. As of this writing, ACO has almost 3,000 books, double the amount that we had earlier this year. DLTS is currently involved in a project to digitize a significant portion of Fales Library’s Sylvester Manor Archive, thanks to a grant from the Gardiner Foundation. Sylvester Manor is the home of the original European settlers on Shelter Island in eastern Long Island, New York, created in 1652 with the arrival of Nathaniel and Grissell Sylvester. The Sylvester Manor Archive contains documents dating from its European settlement to the late-20th century. In addition to being an important collection to preserve and digitize, the collection has some beautiful material that’s fun to digitize. Above, you’ll see an example of one of the wonderful photographs. 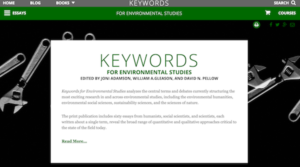 The books in the NYU Press’s Keywords series collect essays by authors across the humanities and social sciences, with each essay focusing on a single term and set of debates. 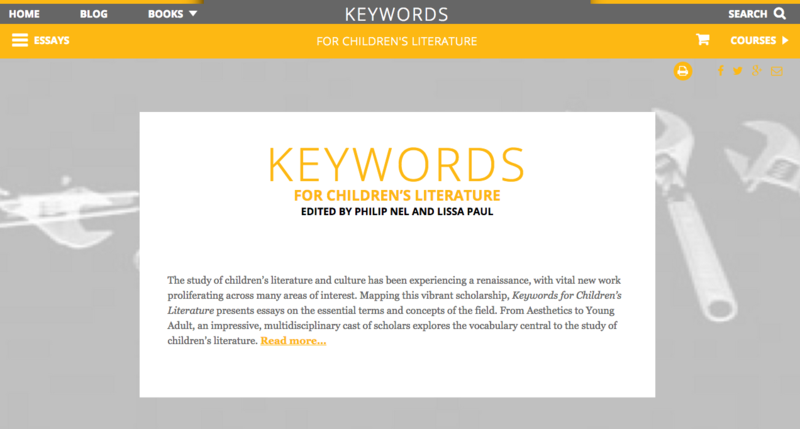 Yesterday, they added a new book: Keywords for Children’s Literature. The study of children’s literature and culture has been experiencing a renaissance, with vital new work proliferating across many areas of interest. 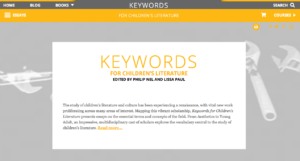 Mapping this vibrant scholarship, Keywords for Children’s Literature presents essays on the essential terms and concepts of the field. DLTS continues to provide hosting and technical support for this important series, though the NYU Press team has been quite self-sufficient. For the Arabic Collections Online project, we have been working on getting the American University of Beirut (AUB) on board. 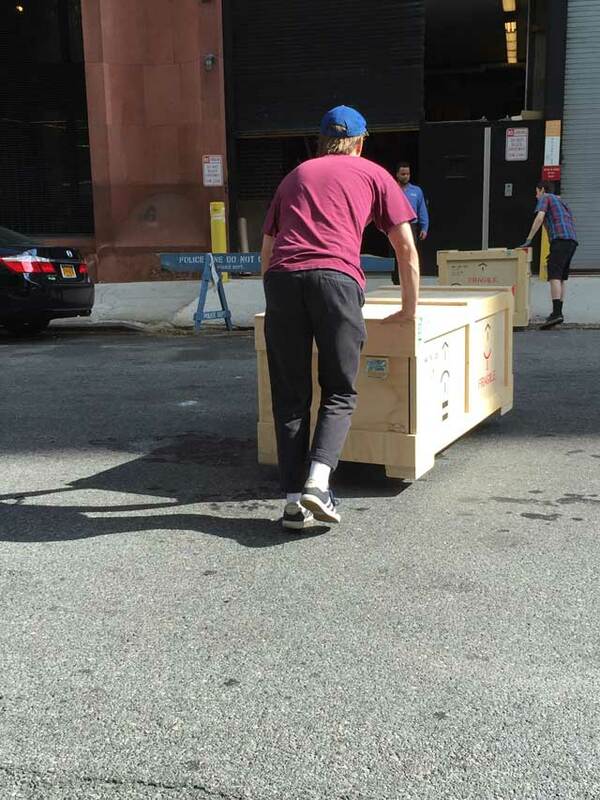 They will be digitizing a large number of Arabic-language texts and sending the digital files to us in New York. To make this process possible, we purchased a camera for them and trained them on its use. After the training, we had to coordinate the shipment of the camera to Beirut. 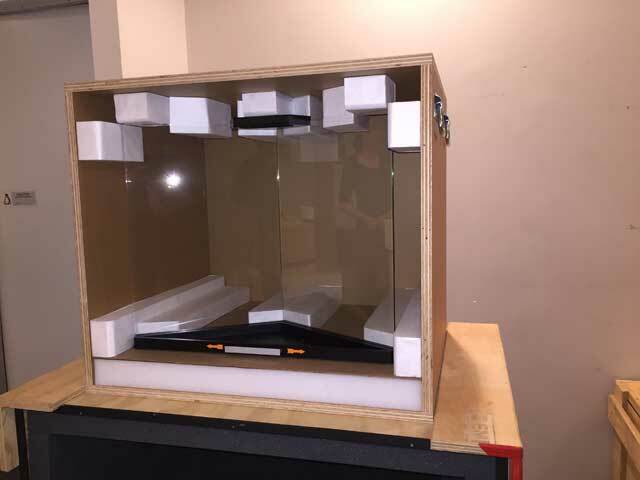 The process of setting up shipment, including the packing of the camera for safety and security, was a major undertaking. Big kudos to Claudia Suleiman, who pulled the many pieces together to make this happen. Melitte Buchman also provided research and input into reputable vendors who could perform these tasks. 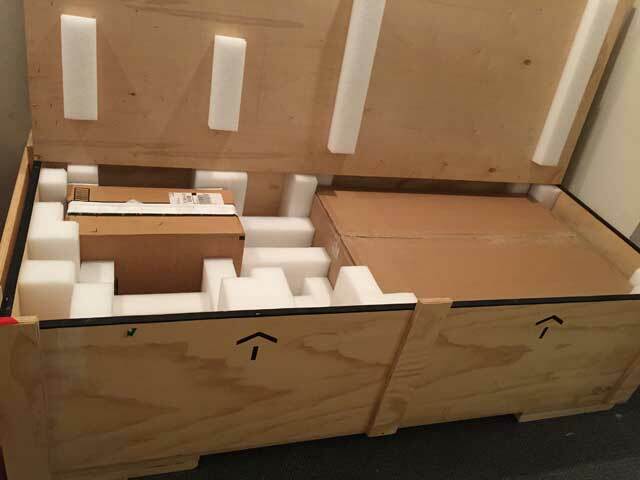 Here are some photos of the packing process – the camera is on its way to Beirut now. We are pleased to announce the launch of the redesigned Ancient World Digital Library (AWDL). An initiative of the Institute for the Study of the Ancient World (ISAW), AWDL will identify, collect, curate, and provide access to a broad range of scholarly materials relevant to the study of the ancient world. This site redesign, featuring all new scholarly content, was over a year in the making, involving a deep dive into book metadata and book publishing as well as an overhaul in site functionality. A special thanks to Alberto, Carol, Joe, Kate, Laura, Melitte, and Rasan for their work on this project. 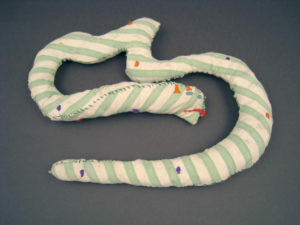 For more information, please see ISAW’s press release. 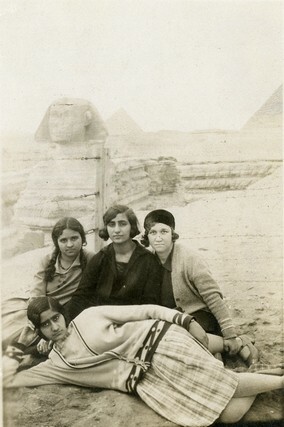 Akkasah, the Center for Digital Photography at NYUAD, has been collecting photography from the Arab world. Under DLTS’s direction, they are digitizing these images, which DLTS will then preserve and publish through finding aids. To read about Akkasah, please see this recent article. 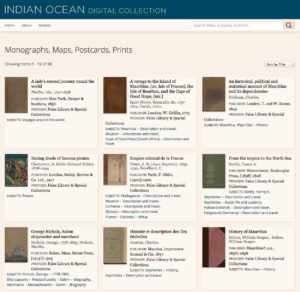 We are pleased to announce the launch of the Indian Ocean Digital Collection, a site that gathers together a diverse group of materials from the region. This site is a collaboration of several departments: site vision and content curation from Charlotte Priddle of Fales and Tim Johnson of Social Sciences and Humanities, funding for digitization from NYU Abu Dhabi, and digitization and publication from DLTS. This site represents the first substantial library collection that focuses on the Indian Ocean as a whole. At launch, the site contains 30 books. We will soon add maps, and within a few months, we will also add postcards. We’re also working on some features to enhance discovery. We will roll out the new features and additional content as soon as it is ready. Eric was there from the beginning to make sure everything went through the process from start to finish. A shout-out to Flannon, who helped us deal with anomalies between development and production and managed the Apache restarts. Sylvester Manor collection is live! 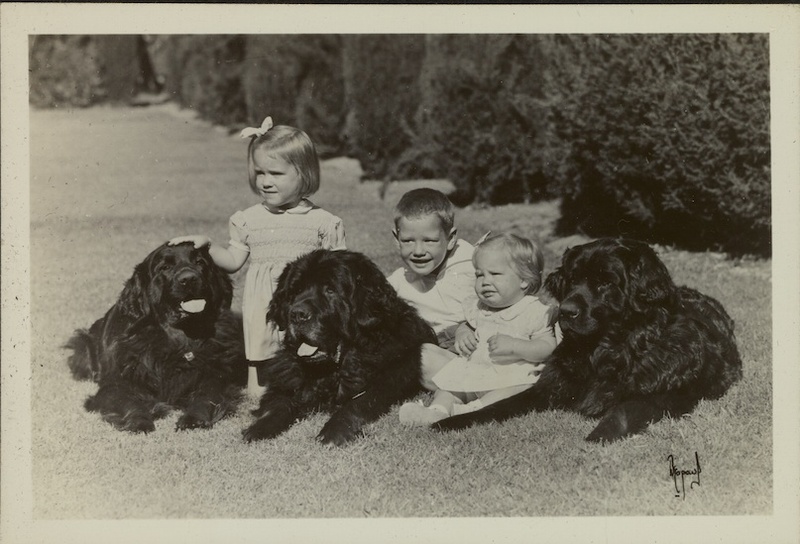 Over 1,000 images from the Sylvester Manor collection are now publicly available online. This collection from Fales Library contains personal and professional papers, photographs, and other materials from Sylvester Manor, a home and grounds located on Shelter Island in the Long Island sound that was initially settled by Nathaniel and Grissell Sylvester in 1652. Additionally, English Department graduate student Rob Koehler is creating an online exhibit, which will provide context around these objects and uncover some of the stories embedded in the images. 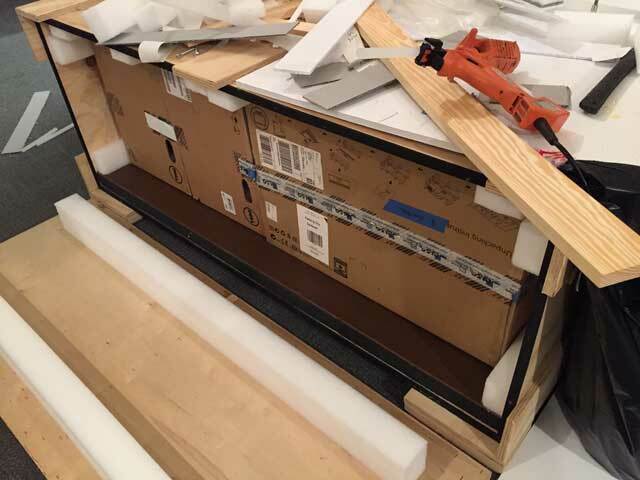 The exhibit is still under construction, so be sure to check back for updates. Digitization was performed by DLTS, and the online exhibit was a partnership among Rob, Amanda Watson, DLTS, and Digital Scholarship Services. Author ZachPosted on October 9, 2014 November 14, 2016 Categories Projects, PublishingLeave a comment on Sylvester Manor collection is live!